In August 2011, I discussed the Masonic Templary creation myth surrounding the Rite of Strict Observance. In it I made a small mention on the Rectified Scottish Rite, but didn't go into too far. While this group in recent years has been the epicenter of some discord held against the Grand Encampment, it is still a notable and worthy group to be discussed and researched. The Rectified Scottish Rite is one of the oldest orders in Freemasonry that has had a continuous existence from its beginning. Its origins take us back to von Hund's Rite of Strict Observance, and we also see an influence from French Freemasonry and Ordre des Chevaliers Macons Elus-Cohen de l'Univers (a precursor to Martinism). Jean-Baptiste Willermoz, the founder, was born in Lyons, France, on the 10th of July, 1730. When he was 20-years old he became a Freemason and in 1752 he was Worshipful Master of his Lodge. The following year, he founded the Lodge La Parfaite Amitié (Perfect Friendship), of which he was elected Master on the 24th of June, the Feast Day of St. John the Baptist. On November 21st, 1756, this Lodge joined up with the Mother Lodge of Lyons. On May 4th, 1760, the Grand Lodge of France approved the formation of a Provincial Mother Lodge called the Grand Loge des Maîtres Réguliers de Lyon (Regular Grand Lodge of Masters of Lyon) and Willermoz was the Provincial Grand Master from 1762 to 1763. After serving in the East, he became the Archivist and Keeper of the Seals. 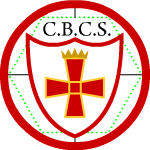 In 1763, Willermoz founded the Souverain Chapitre des Chevaliers de L'Aigle Noir - Rose-Croix (Sovereign Chapter of the Knights of the "Black Eagle - Rose-Croix). While in Paris in 1767, Willermoz met Bacon de la Chevalerie who was the Deputy Grand Master of the Ordre des Chevaliers Macons Elus-Cohen de l'Univers and in time would be initiated by De Pasqually himself. In 1772, Willermoz learned of the existence of the Rite of Strict Observance, a German Masonic Order. The golden age of this rite was on decline, particularly over the controversial claim of the noted founder, von Hund, of "Unknown Superiors" that secretly led the group through von Hund. With the Rite of Strict Observance on a decline as well as the Elus-Cohens (after the death of De Pasqually), and Willermoz was anxious to preserve the knowledge passed down through these bodies. With the help of others he created a system of degrees. The last two degrees were secret degree that imparted upon the candidate the doctrines of the Elus-Cohen. In hopes to expand this reformed body, Willermoz attended a meeting of the Germanic Strict Observance famously known as the Convent of Wilhelmsbad of 1782. After heated discussions, opponents included representatives from the Bavarian Illuminati, Willermoz won the day and the CBCS reform was adopted among the members of the Order. According to A.E. Waite, Willermoz blended together the forms and doctrines of the two rites, but de-Templarized the Rite of Strict Observance and "Martinized" it, which resulted in the Rectified Scottish Rite. Willermoz headed a committee to prepare the rituals of the revised degrees. Much of the work was done, but activity in this rite was interrupted by the eruption of the French Revolution. In 1806 the CBCS became active again, but, due to the political unrest, it soon would pass into Switzerland with the transmission of power to the Directoire of Helvetia; it was this jurisdiction that reinvigorated the Order in France after WWII. Willermoz passed from this world on May 5th, 1824, in Lyons, France. Today the body exists in Switzerland, France, England, Germany, Belgium, Spain, Portugal, Brazil and the United States. In the United States the Rectified Scottish Rite is a body surrounding much scandal within the Templar community and which is now having major effect on our recognition from our English Sir Knights. The governing body is usually referred to a Great Priory, but may also be seen as Grand Priory. As you can see above, the first 3-degrees or Symbolic degrees are listed under this body. In the United States and Europe the power to confer the Symbolic degrees ceded to the authority of the Grand Lodges. In other countries the Great Priories works all the degrees themselves. Through the fourth degree, the lessons are centered on the inner reconstruction of the man through a deeper appreciation of his faith and the diligent practice (observance) of the Christian virtues. The Master of St. Andrew is a degree worked along with the Scottish Master or 4°. According to the Great Priory of America, "When a Master of St. Andrew has reached the level of self-spiritual realization, proving that he has worked up the Masonic initiation, he can access to the Inner Order." The Inner Order is a chivalric order and is composed of the 5° and 6°. The former, the Novice Squire, is a preparatory and transitional degree. The latter is said to be a "quality conferred" rather than a degree when you are dubbed Chevaliers Bienfaisants de la Cité Sainte (CBCS).